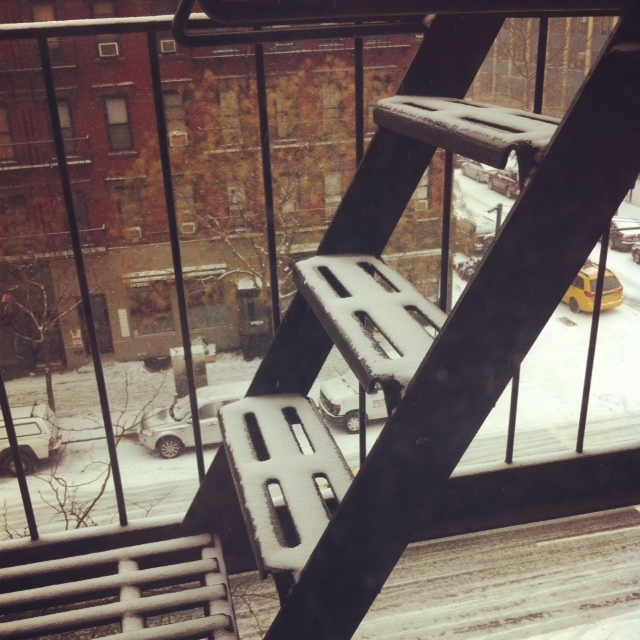 IT IS SNOWING AGAIN IN NEW YORK. – Hello? I Forgot My Mantra. IT IS SNOWING AGAIN IN NEW YORK. Published on January 21, 2014 by i forgot my mantra. Looking out my window, it is just cloud of white. It’s not big, wet, chunky snow–more like cold, biting snow. I can tell. But I’m okay with it. I know that when I leave work tonight, the city will be blanketed. And when it wears a blanket of snow, it is quiet. And peaceful. And it looks tidy. Of course, the prettiness fades away quickly–but that’s okay. Previous I WISH I HAD A THREE-DAY WEEKEND. Next IF THERE’S ONE THING THAT WILL SELL ME A PRODUCT, THIS IS IT.